As you can see I am going wild with my posting so what better than wild flowers. I certify it is a picture taken somewhere in Barcelona, but if it weren't it doesn't really matter! 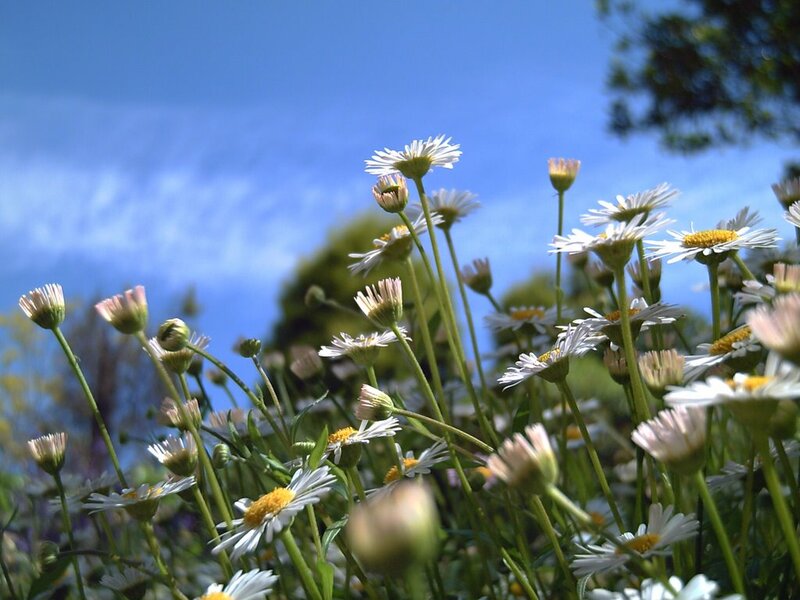 I tried to capture them from a low angle as I did with daisies some time ago. I wish I had an image of a sundial but wild flowers have their own beauty too. If anyone happens to know the name please tell me. I haven't got a clue what they're called, but they're sure beautiful, especially against that background. I like the backdrop of the out-of-focus trees...takes this beyond a typical flower shot. mixed up poppies with daisies? lol! i thought i'm bad :D oops! Lovely photo as usual, carlos! Beautiful colors, nice angle, nice shot! Carlos, es una jara de flores rosas (Cistus incanus). In English, a rock rose. Great shot! Great Carmen you found out for me, I appreciate that! Thanks.